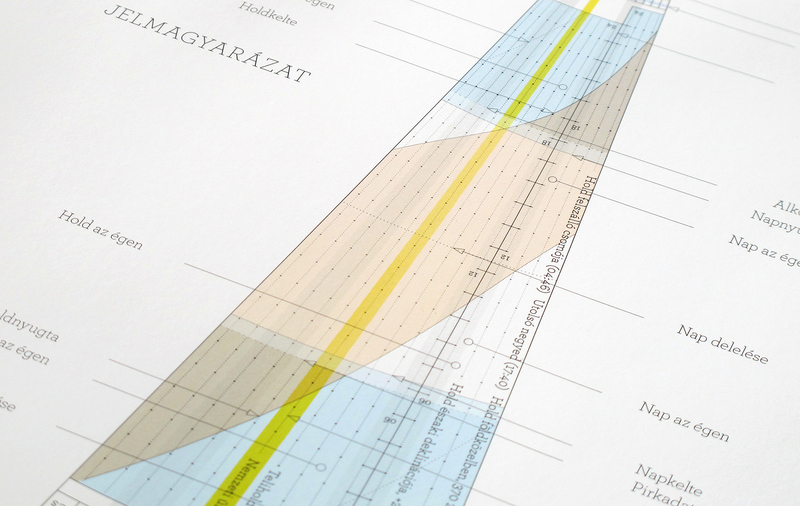 This 2018 Anaptár version is adapted for the geographic location of Budapest, Hungary (47°26′ N 19°15′ E). 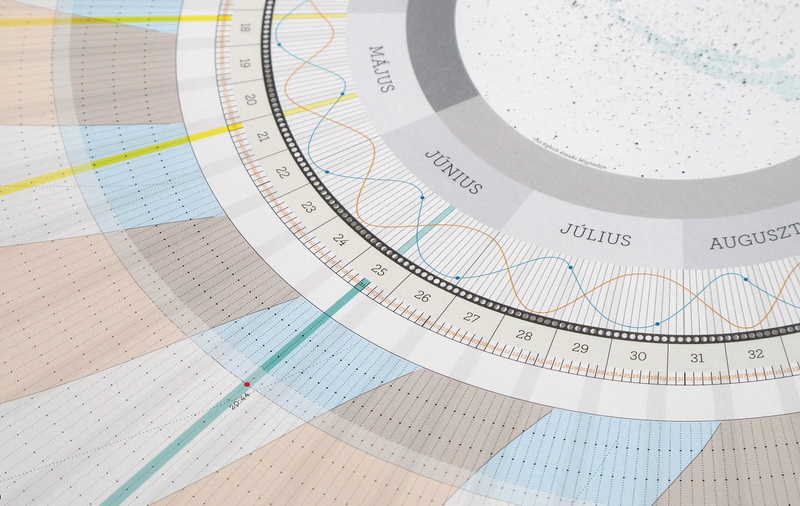 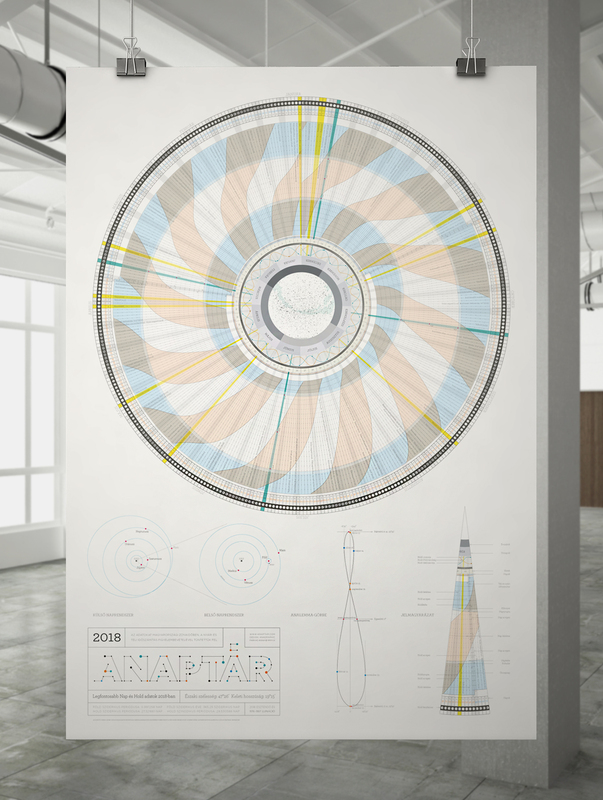 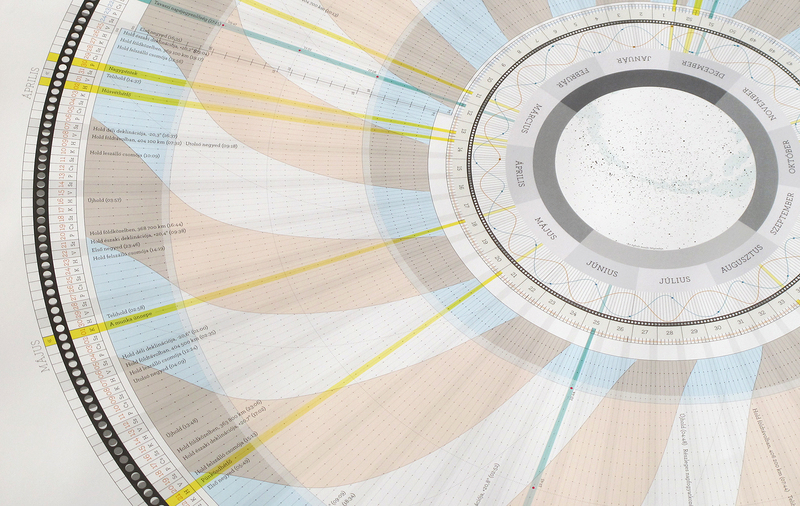 Anaptár is a unique, informative poster calendar, which is not only a work of beauty but also a source of fascinating new discoveries. 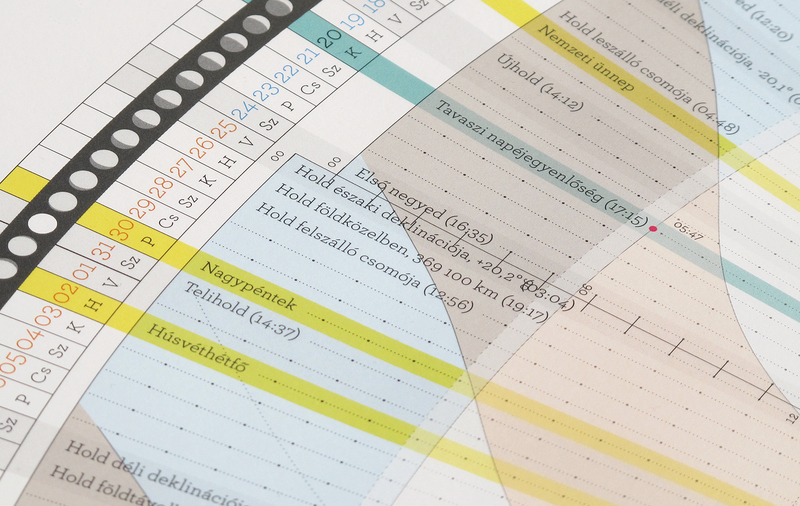 This is the latest version of the Red Dot 2015 winner and German Design Award 2016 nominated Anaptár.